Under Pressure. Original title: Dragon in the Sea. New York: Doubleday, 1956; rpt. New York: Ballantine, 1974. Also titled (unauthorized) 21st Century Sub. Dune. Philadelphia: Chilton Books, 1965; rpt. New York: Berkley Publishing, 1977. Serial publication as "Dune World" and "The Prophet of Dune." The Green Brain. New York: Ace Books, 1966. Based on the story "Greenslaves." Destination:	Void. New York: Berkley Publishing, 1966. Based on the story, "Do I Wake or Dream?" The Eyes of Heisenberg. New York: Berkley Publishing, 1966. Serial publication as "Heisenberg's Eyes." The Heaven Makers. New York: Avon Books, 1968; rpt. New York: Ballantine Books, 1977. The Santaroga Barrier. New York: Berkley Publishing, 1968. Dune Messiah. New York: G. P. Putnam's Sons, 1970; rpt. New York: Berkley Publishing, 1975. Whipping Star. New York: G. P. Putnam's Sons, 1970; rpt. New York: Berkley Publishing, 1970. Soul Catcher. New York: G. P. Putnam's Sons, 1972; rpt. New York: Bantam Books, 1973. Herbert's only "mainstream" novel. The Godmakers. New York: G. P. Putnam's Sons, 1972; rpt. New York: Berkley Publishing, 1973. Includes the stories "You Take the High Road," "Missing Link," "Operation Haystack," and "The Priests of Psi" in an altered form, together with some new material. Hellstrom's Hive. Garden City, N.Y.: Doubleday, 1973 (Book Club Edition); rpt. New York: Bantam Books, 1973. Serial publication as "Project 40." Children of Dune. New York: G. P. Putnam's Sons, 1976; rpt. New York: Berkley Publishing, 1977. The Dosadi Experiment. New York: G. P. Putnam's Sons, 1977; rpt. New York: Berkley Publishing, 1978. The Jesus Incident (with Bill Ransom). New York: G. P. Putnam's Sons, 1979. New World or No World. New York: Ace Books, 1970. A collection of articles prepared for "Earth Day 1970," edited and introduced by Herbert. Threshold: The Blue Angels Experience. New York: Ballantine Books, 1973. Contains photos and screenplay from the documentary film. The Worlds of Frank Herbert. New York: Ace Books, 1971. Contains: "The Tactful Saboteur," "By the Book," "Committee of the Whole," "Mating Call,"" Escape Felicity," "The GM Effect," "The Featherbedders," "Old Rambling House," "A-W-F Unlimited." The Book of Frank Herbert. New York: DAW Books, 1973. Contains: "Seed Stock," "The Nothing," "Rat Race," "Gambling Device, "Looking for Something," "The Gone Dogs," "Passage for Piano," "Encounter in a Lonely Place," "Operation Syndrome," "Occupation Force." The Best of Frank Herbert. London: Sidgwick and Jackson, 1975. Contains: "Looking for Something," "Nightmare Blues," "Cease Fire," "Egg and Ashes," "Committee of the Whole," "The Mary Celeste Move," "Solution Primitive," "By the Book," The Heaven Makers, "The Being Machine," "Seed Stock," Dune excerpts, Dragon in the Sea excerpts. "Survival of the Cunning." Esquire, March 1945. "Yellow Fire." Alaska Life (Alaska Territorial magazine), June 1947. "Looking for Something?" Startling Stories, April 1952. "Operation Syndrome." Astounding, June 1954. "The Tactful Saboteur." Galaxy, Oct. 1964. "The Prophet of Dune" (five installments). Analog, Jan–May 1965. Comprises Books II and III of Dune. "Greenslaves." Amazing, March 1965. Expanded to form The Green Brain. "Committee of the Whole." Galaxy, April 1965. "The GM Effect." Analog, June 1965. "Do I Wake or Dream?" Galaxy, Aug. 1965. A shortened version of Destination: Void. "The Primitives." Galaxy, April 1966. "Escape Felicity." Analog, June 1966. "Heisenberg's Eyes" (two installments). Galaxy, June–Aug. 1966. Published in paperback as The Eyes of Heisenberg. "By the Book." Analog, Aug. 1966. "The Featherbedders." Analog, Aug. 1967. "The Heaven Makers" (two installments). Amazing, April–June 1967. "The Santaroga Barrier" (three installments). Amazing, Oct. 1967–Feb. 1968. "Dune Messiah" (five installments). Galaxy, July–Nov. 1969. "The Mind Bomb." Worlds of If, Oct. 1969. "Whipping Star" (three installments). Worlds of If, Jan–April 1970. "Seed Stock." Analog, April 1970. "Murder Will In." The Magazine of Fantasy and Science-Fiction, May 1970. Part of Five Fates, by Keith Laumer, Poul Anderson, Frank Herbert, Gordon Dickson, and Harlan Ellison. Garden City, N.Y.: Doubleday, 1970. An ingenious collection where five authors complete the same story, each in their own way. "Project 40" (three installments). Galaxy, Nov. 1972–March 1973. Published in paperback as Hellstrom's Hive. "Encounter in a Lonely Place," in The Book of Frank Herbert. New York: DAW Books, 1973. "Gambling Device," in The Book of Frank Herbert. New York: DAW Books, 1973. "Passage for Piano," in The Book of Frank Herbert. New York: DAW Books, 1973. "The Death of a City," in Future City, ed. Roger Elwood. New York: Trident Press, 1973. "Children of Dune" (four installments). Analog, Jan–April 1976. "The Dosadi Experiment" (four installments). Galaxy, May–August 1977. "Come to the Party" (with F. M. Busby). Analog, Dec. 1978. "Songs of a Sentient Flute." Analog, Feb. 1979. "Cease Fire," Astounding Science Fiction, January 1958. "Introduction: Tomorrow's Alternatives?" in Frontiers 1: Tomorrow's Alternatives, ed. Roger Elwood. New York: Macmillan, 1973. "Introduction" to Tomorrow and Tomorrow and Tomorrow, by Heitz, Herbert and Joor McGee. New York: Holt, Rinehart and Winston, 1973. "Listening to the Left Hand." Harper's Magazine, Dec. 1973. "Science Fiction and a World in Crisis" in Science Fiction: Today and Tomorrow, ed. Reginald Bretnor. New York: Harper and Row, 1974. "Men on Other Planets" in The Craft of Science Fiction, ed. Reginald Bretnor. New York: Harper and Row, 1976. "Dune: The Banquet Scene." Liner notes for Dune: The Banquet Scene, Read by the Author. New York: Caedmon Records, 1977. "The Sky Is Going to Fall in Seriatim: The Journal of Ecotopia, No. 2, Spring 1977 (425 3rd St., McMinnville, Oregon 97128). A slightly different version of this article appeared in The San Francisco Examiner, "Overview" column, July 4,1976. "The ConSentiency and How it Got That Way." Galaxy, May 1977. "Sandworms of Dune." Liner notes for Sandworms of Dune: Read by the Author. New York: Caedmon Records, 1978. "Carthage: Reflections of a Martian" in Mars, We Love You, ed. Jane Hipolito and Willis E. McNelly. New York: Doubleday, 1971. "Flying Saucers: Fact or Farce?" San Francisco Sunday Examiner, "People", Oct. 20, 1963. "2068 AD." San Francisco Sunday Examiner & Chronicle, "California Living", July 28, 1968. "We're Losing the Smog War" (part. 1). San Francisco Sunday Examiner & Chronicle, "California Living", Dec. 1, 1968. "Lying to Ourselves about Air" (part. 2). San Francisco Sunday Examiner & Chronicle, "California Living", Dec. 8, 1968. "You Can Go Home Again." San Francisco Sunday Examiner & Chronicle, "California Living", March 29, 1970. Refers to some of Herbert's childhood experiences in the Northwest. "Overview," San Francisco Sunday Examiner & Chronicle, July 4, 1976. "New Lifestyle to Fit a World of Shortages." San Francisco Sunday Examiner & Chronicle, March 25, 1977. Ower, John. "Idea and Imagery in Herbert's Dune." Extrapolation 15, May 1974. Parkinson, Robert C. "Dune–An Unfinished Tetralogy." Extrapolation 13, December 1971. Stover, L. E. "Is Jaspers Beer Good for You? Mass Society and Counter Culture in Herbert's Santaroga Barrier." Extrapolation 17, May 1976. Drewes, Caroline. "Forecasts of an Inventor of the Future." San Francisco Sunday Examiner & Chronicle, July 18, 1976. Webb, Burt. "The Herbert Homestead," in Seriatim: The Journal of Ecotopia, No. 2, Spring 1977 (425 3rd St., McMinnville, Oregon 97128). Williams, Paul. "A Visit with Frank Herbert," in Ariel: The Book of Fantasy, vol. 3, ed. Thomas Durwood. New York: Ballantine Books, 1978. Yenter, Charles C. "Notes for a Bibliography of Frank Herbert." Privately published. 1015 5. Steele, Tacoma, Washington 98405. Thorough listing of editions of Herbert's work; incomplete only by a bibliophile's standard. Blake, William. Complete Writings, ed. Geoffrey Keynes. Oxford: Oxford University Press, 1971. Brock, Werner. "An Account of 'Being and Time,"' in Existence and Being by Martin Heidegger. Chicago: Henry Regnery, 1970. Campbell, Joseph. The Hero with a Thousand Faces. Bollingen Series xvii, second edition. Princeton, N.J.: Princeton University Press, 1968. Carlyle, Thomas. Heroes, Hero Worship, and the Heroic in History (1841). New York: A. L. Burt, Ca. 1910. Clarke, Arthur C. Profiles of the Future. New York: Bantam, 1964. Delany, Samuel R. The Jewel-Hinged Jaw. New York: Berkley Publishing, 1977. Emboden, William, Jr. "Ritual Use of Cannabis Sativa L.," in Flesh of the Gods, ed. Peter T. Furst. New York: Frederick Praeger, 1972. Franson, Donald, and Howard DeVore. A History of the Hugo, Nebula and International Fantasy Awards. Dearborn, Mich.: Misfit Press, 1978. Herrigel, Eugene. The Method of Zen, ed. Hermann Tausend, trans. R. F. C. Hull. New York: Vintage Books, 1960. Huxley, Aldous. The Doors of Perception. New York: Harper and Brothers, 1954. Jaspers, Karl. Way to Wisdom. New Haven, Conn.: Yale University Press, 1960. Kaufman, Walter. Tragedy and Philosophy. Garden City, N.Y.: Doubleday, 1968. Korzybski, Alfred. Science and Sanity. Lakeville, Conn.: International Non-Aristoleian Publishing Co., 1949. LaBarre, Weston. "Hallucinogens and the Origins of Religion," in Flesh of the Gods, ed. Peter T. Furst. New York: Frederick Praeger, 1972. May, Rollo, Ernest Angel and Henri Ellenberger, eds. Existence. New York: Basic Books, 1958. Milne, Loins and Margery. "Will the Environment Defeat Mankind," Harvard Magazine, Jan–Feb. 1979. Pound, Ezra. Selected Prose, 1909–1965, ed. William Cookson. New York: New Directions, 1973. Raglan, Lord. The Hero: A Study in Tradition, Myth and Drama. London: Watts and Co., 1949. Reps, Paul. Zen Flesh, Zen Bones. Garden City, N.Y.: Doubleday. Schultes, Richard E. "Hallucinogens in the Western Hemisphere," in Flesh of the Gods, ed. Peter T. Furst. New York: Frederick Praeger, 1972. Sears, Paul B. Where There Is Life. New York: Dell, 1970. Simon, George. Notebooks 1965–1973, ed. 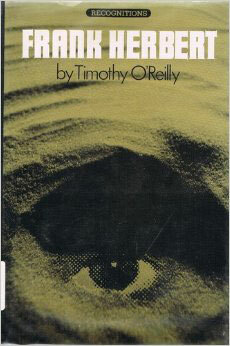 with commentary by Timothy O'Reilly. Watertown, Mass. : Summer Publishers, 1976. Szasz, Dr. Thomas, with Gov. Jerry Brown and Dr. Lou Simpson. "Nobody Should Decide Who Goes to the Mental Hospital," Co-Evolution Quarterly 18, Summer 1978.